The psychological thriller is one of the most popular movie genres ever. Its roots span all the way back to early cinema, though the genre really emerged as a force during the 1950’s Film Noir explosion. Many of the top thrillers ever made have become some of the biggest box office successes too. Films such as David Fincher’s Seven and Jonathan Demme’s Silence of the Lambs grossed 100’s of millions of dollars between them and made household names of their cast. Quite why we all love to watch films that literally scare us silly is a question for psychologists. The simple fact of the matter is that we simply can’t get enough of them. Every year, Hollywood makes scores of psychological thrillers to help feed our insatiable demand for this amazing genre. Are you ready? Here we go with our top 10 psychological thrillers of all time. Back in 1991, a film was released that would prove to be one of the scariest, most sophisticated, and darkest psychological thrillers of all-time. 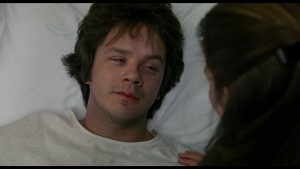 This film was, of course, The Silence of the Lambs. Audiences had never seen a film of this intensity and darkness before. The film follows an FBI cadet Clarice Starling as she enlists the help of a serial killer to find a murderer who is targeting young girls. 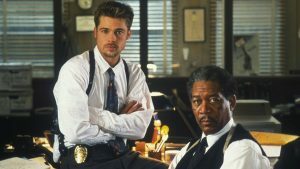 Stars: Morgan Freeman, Brad Pitt, and Kevin Spacey. 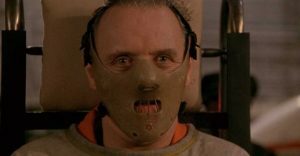 If The Silence of the Lambs was the most disturbing psychological thriller of the 1990’s, then Seven was certainly the darkest and most grotesque. The film follows two detectives that are tracking a serial killer who is killing people in retribution for the sins that they have committed. The film launched the career of Brad Pit and reignited that of Morgan Freeman. Seven’s unforgettable ending take inspiration from Day of the Jackal and horror films like Cannibal Holocaust. 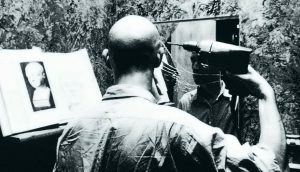 Pi was writer/director Darren Aronofsky breakthrough film. 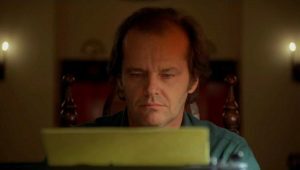 It broke with the tradition of the psychological thriller in that it doesn’t follow the murder mystery theme that films such as The Silence of the Lambs and Seven have at their center. The film follows an increasingly paranoid mathematician as he tied to unlock the mathematical formula that will unlock the secret of the patterns behind many of the systems in nature. The second of director David Fincher’s films to make it to our top 10, The Game was his follow up psychological thriller to Seven. Though the film is not as disturbing and graphics as Seven, it is highly original and creative. The film follows a wealthy banker, played by Douglas, who finds his life turned upside down after he agrees to take part in a mysterious game. As events progress, he becomes more unsure about what is reality and what is the game. 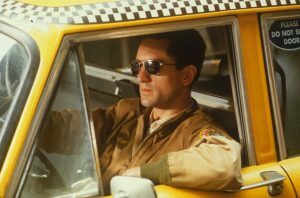 In what is often regarded as Robert De Niro’s best role, a mentally deranged war veteran takes to New York City’s streets to work as a taxi driver. As his rage and frustration at the inequality and decadence of the city streets begin to boil over, Travis begins to hatch ever more daring schemes to clean up the city. Director Stanley Kubrick is one of the best masters of cinema that America has ever produced. His film version of a Steven King novel by the same name would become one of his most iconic and revered films. After a writer and his family head to a remote hotel to take care of it for the winter, strange events beginning to turn the family members against one another. As they begin to tear apart psychologically, the writer’s psychic son and his mother must try to escape the now deranged father. Christian Bale plays an industrial worker who suffers from insomnia. In what was arguably his best performance ever, Bale lost a huge amount of weight by starving himself for months before filming. It was reported that Bale was down to eating just an apple and a small portion of rice every day. The actor’s transformation is stunning. From his toned, muscular physic playing Patrick Bateman in American Psycho, he is a mere shell of himself by the time we first see him without a top in this film. Such dedication to a role has only been shown by the likes of Al Pacino and Robert De Niro. Mourning his dead child, a haunted Vietnam War veteran attempts to uncover his past while suffering from a severe case of dissociation. To do so, he must decipher reality and life from his own dreams, delusions, and perceptions of death. Another original psychological thriller from the early 90’s, Copycat is an interesting examination of the world of Copycat killers. A psychologist must pair up with a detective to find and capture a serial killer who has taken to performing copycat killings that mirror ones committed in the past. Long before he was breathing new life into the Batman saga, director Christopher Nolan made Memento. This film is one of the best film noirs ever made. Completely subverting the traditional way that stories are told, Memento begins at the end of the story and works its way backward. A highly original piece, it remains one of the best psychological films ever made. Can the #MeToo movement change 2018?